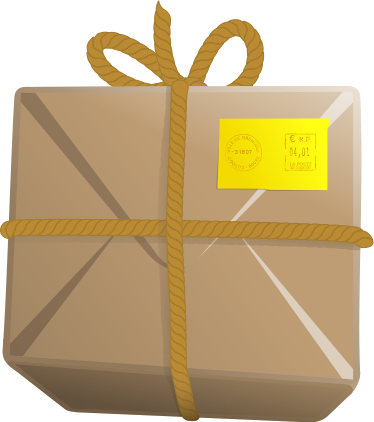 Mail delivery Dec. 12-Jan. 9 — Please contact the Mail Center with your office closure dates. Mail runs during Finals Week and the open weeks preceding the start of Winter Term will be made as staffing permits. The Mail Center will be closed Dec. 24-Jan. 2. Representatives of campus offices and departments always are welcome to come to the Mail Center during open hours to retrieve mail. New package tracking system — The Mail Center will be installing a new package tracking system after Fall Term final exams. This system will send automatic emails when packages have been received for students, faculty, and staff. Pink slips will no longer be used. Packages placed directly in mailboxes or delivered to campus offices will cue a second “delivery” email. NO CHANGES will be made to delivery for faculty and staff, though employees always are welcome to pick up packages at the Mail Center. Students should bring their Wartburg IDs to retrieve packages. The Mail Center will be closed Thursday, Dec. 15, 11 a.m.-noon, for staff training on the new system. Pink slips for student packages will still be issued Dec. 15-16 but will not be necessary for package pickup. Contact the Mail Center at mailroom@wartburg.edu or 352-8263 with questions, and please be patient as we learn the new system! As I shared this fall, we need to identify $1.3 million in revenue enhancements and expense savings, with implementation occurring in the coming two years. The issues were discussed during informational budget meetings open to all faculty and staff (presentation available here). Answers to questions asked during those meetings are available here. If you have additional ideas for new or enhanced revenues or expense savings, please share these ideas with your department head. If you prefer to remain anonymous, you can submit your ideas here. Ideas would be most helpful before Jan. 6, 2017. Click here to read more about the budget on the InfoCenter. Students, please remember to complete a Request for Incomplete Grade Form if you have the consent of your instructor to postpone required course work due to extenuating circumstances. The form is not required for internships and Venture Education course work. This form is available in the forms section on My Wartburg or in the Registrar’s Office. Any incomplete grades without a completed Request for Incomplete Grade Form will be changed to an “F” at 4:30 p.m. Tuesday, Dec. 20. Contact the Registrar’s Office for further information regarding the incomplete grade policy. Come de-stress with games, puppies, and treats during our 'Twas the Night Before Finals event Monday, Dec. 12, 7-9 p.m. in the Clinton Hall Lounge. There will be study help available; professors, librarians, and WRSL reps will be there to help you with all your research questions. Please contact Jette Irgens or Ashley McHose with any questions. Get your picture taken with Santa at the top of the stairs outside the ballrooms during study night breakfast Monday, Dec. 12, with photos starting at 10:30 p.m. Enjoy coloring sheets and candy canes as well. Sponsored by Black Student Union. PB&J Knight Study Break will be Tuesday, Dec. 13, from 9 to 11 p.m. in the ballrooms. This is a free event for students, sponsored by Student Center Council (SCC). Take a break from your studies and come have a snack and be sociable at the same time. The menu consists of white and wheat bread, creamy and crunchy peanut butter, strawberry jam, grape jelly, and white or chocolate milk. The Wartburg Store is offering cash for used textbooks and accepting rental returns in-store Tuesday, Dec. 13, through Friday, Dec. 16, 8 a.m.-5 p.m. Rentals are due by 4 p.m. Friday. Also, beat the rush by preordering your textbooks on WartburgStore.com and be entered to win a $100 gift card. Valid on orders placed Dec. 12-Jan. 6. The winner will be notified Jan. 9. The Wartburg Dance Team will have tryouts for the Winter 2017 season Wednesday, Dec. 14, 7-9 p.m., in the Lyceum. Please wear dance-appropriate, form-fitting attire. You are required to bring a 30-second routine of personal choreography with music on an iPod. Dancers also will be asked to do a toe touch, single or double turn, a la seconde turns (optional), along with two additional skills of your choice. Contact erin.mcdermott@wartburg.edu to sign up for a 15-minute tryout time. The contributions of the Rev. Larry '66 and Lois Trachte '66 were recognized at the college’s December Commencement on Sunday when the two were awarded Wartburg Medals. Larry is a Wartburg professor emeritus of religion, while Lois was a teacher in the Tripoli Community Schools and worked in Wartburg's Pathways Center. Larry also delivered the keynote commencement address Sunday. Click here to read more about the Trachtes.